The TVCS InterConnect 10R is a rugged IP67-based, radio and VoIP conferencing switch/gateway. It delivers clear in-vehicle and intra-vehicle voice communications between VoIP devices and multiple radio brands and bands (HF, VHF, UHF). IT allows full radio control from the operator communications terminal. 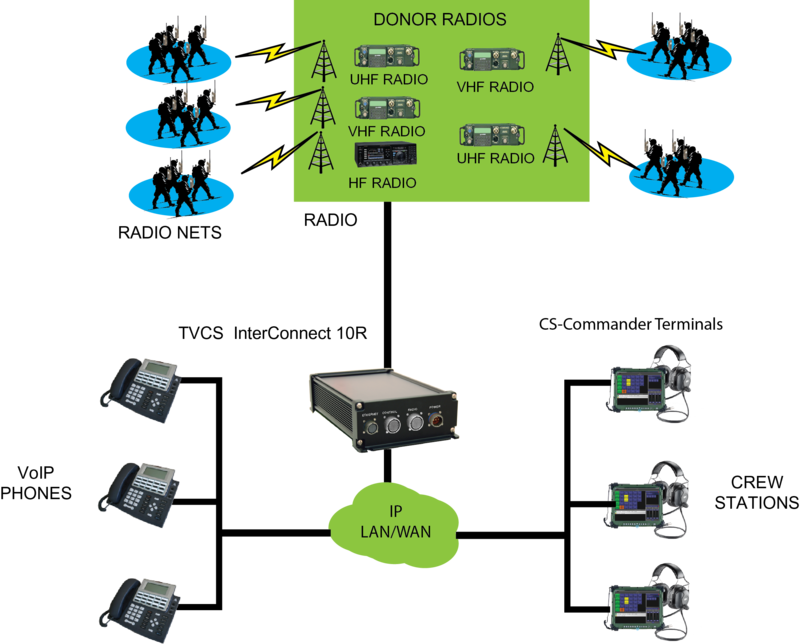 The unit offers connection to 6 VoIP phones and 5 radios. By SIP-trunking multiple units together, the system is scalable to meet application requirements. 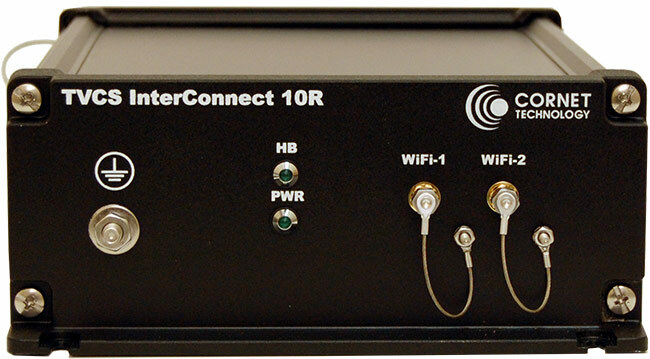 A six port Ethernet switch, the interface point for remote control of devices, allows the 10R to support up to six operators with one chassis. The 10R is administered using CTI’s IntelView™ management application which includes tasks such as creating user profiles and software updating. It meets the MIL-STDs 810G, 461F, 464, and 1275E. 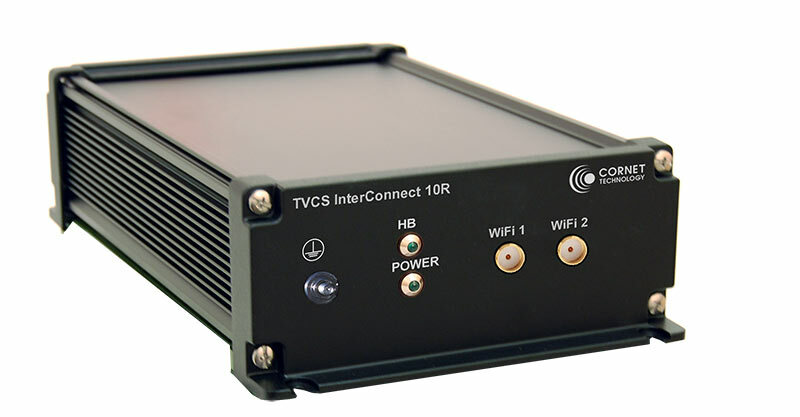 The TVCS InterConnect 10R links upstream commands and commanders to the battle field radio nets using any IP network available such as tactical radio, VLAN or Ethernet.